Previous convenience store now closed & pretty much gutted inside. Building is SOLD AS IS. Value is in the land & location. Great location for Fast Food or other options. 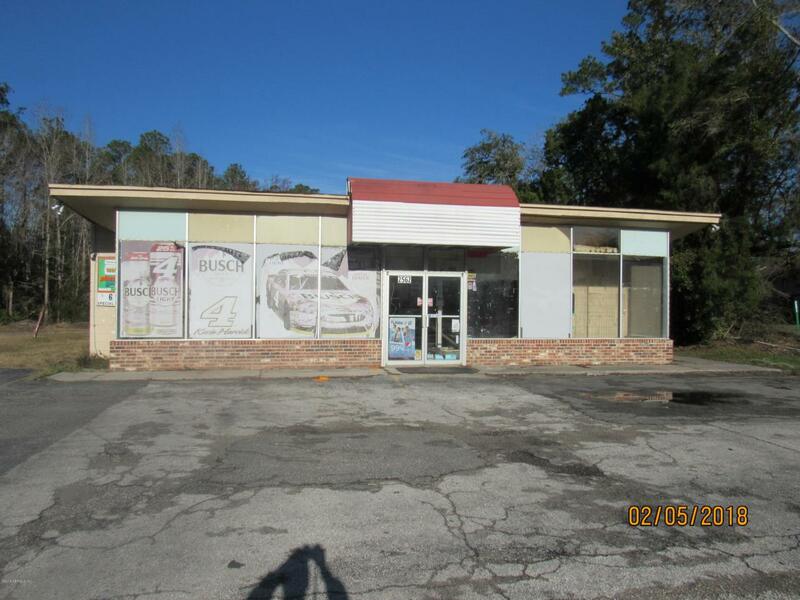 Property consist of 2 parcels adjoining to make over 2.5+- acres with 143 ft frontage on Blanding Blvd. Property is irregular shaped with 2 RE Parcel #'s. Frontage Blanding is RE# 006329-000-00 145 ft frontage & 281 ft deep & rear RE # with a Everett address is 006329-001-00. 119 ft front on Blanding by 544 ft deep triangle shape. See documents section for more info. Water & sewer near site.